Thank you for supporting The Mudbugs, a husband-and-wife duo featuring roots-based music with blues, country, and zydeco at the core. We hope you had a chance to check out a sample of our music. For the full Mudbugs experience catch a live show. 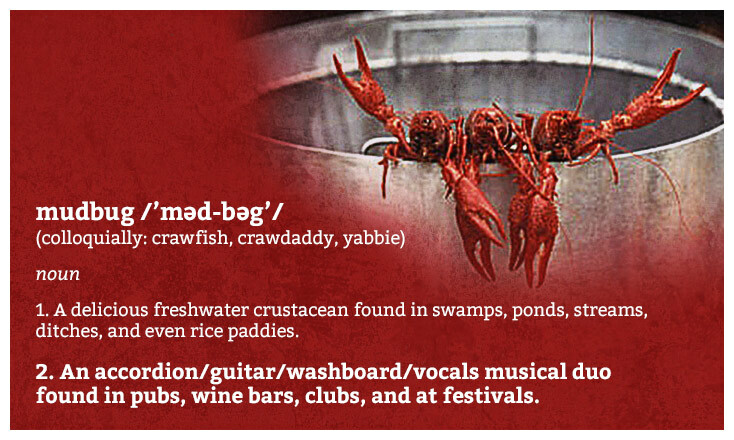 The Mudbugs can be found performing at clubs, wine bars and festivals in the Pacific Northwest. Make sure to join The Mudbugs Facebook page and also sign up for the email list so you can see where they may turn up next. ​Please feel free to contact us via this website with any feedback you’ve got. We’d love to hear from you. To book The Mudbugs, please call (360) 600-3377 or use the form below.